Hello our dear readers, and welcome to another edition of Cart2Cart’s fascinating interview series. 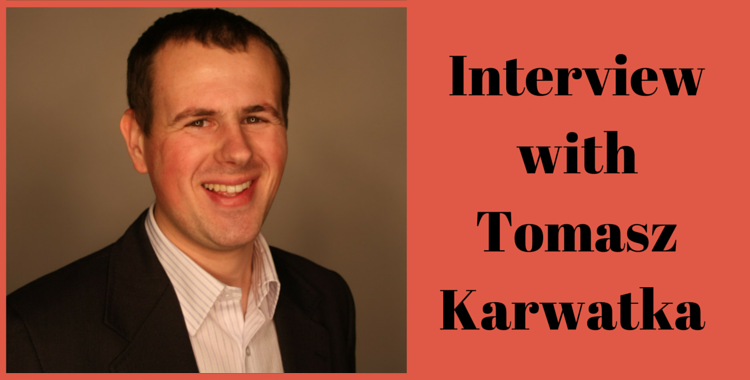 Today, we’re talking to an outstanding member of eCommerce community, leader of Divante and an overall cheerful person - Tomasz Karwatka. 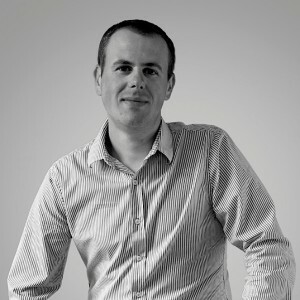 Tomasz, you are an eCommerce expert who’s renowned for inspiring people and helping them develop their online businesses. But what has inspired you to choose this particular career path? Before I created Divante, I was managing an online store on my own. I was selling lamps and craving desperately for a partner company that would assist my shop comprehensively. At that point, each supplier was only willing to provide basic services, and no one wanted to help me look at eCommerce as a whole. So, that’s where I got the idea for Divante. The idea that I, then, realized after selling my previous business. The original purpose of Divante is executing eCommerce matters comprehensively. Thus, today, I hire UX and Marketing specialists as well as talented developers - only three of these powers combined can create a true value for a customer. You are a CEO at Divante - tell us a bit about this company. Which e-Commerce matters do you guys deal with most of all? And in which directions you’ll be developing in the future? Divante is one of the biggest e-Commerce agencies in Europe. We’ve got over 150 employees - all dealing with eBusiness exclusively. Among our most famous clients, you can find Intersport, Praktiker, ING Bank, SpieleMax, Loods5. Also, we develop and implement Omnichannel solutions for Magento and SAP hybris. As a company, we’re focused on bringing high business results for the clients. Both our UX and marketing specialists do their best to make such achievements possible. In 2015, Divante were in the top 10 tech-companies implementing Magento, according to Clutch.co. Our company was also a finalist of an international competition - Online Retail Awards – 2015, in the “Best e-Commerce and m-Commerce company of the year” category. Finally, we were listed as a part of WSE group, among companies that provide sales support services. As we’re all about sharing knowledge, we invite everyone to read our useful blog. Based on your rich experience, what main advice would give to an aspiring online merchant? What is the best professional advice you have ever been given? If you want to run an online store nowadays, there are two paths you can go by - competing with existing, large retailers - in which case you’ll have to build a new brand and an omnichannel customer experience, or selecting a unique niche and becoming a reliable customer's advisor. From my experience, the boutique-style sales approach works as all of us want to buy from experts, hobbyists and enthusiasts - people who aren’t just selling, but are also sharing their passion with us. Thus, if you’re only a newbie without substantial funds - choose this way. Many services your company offers - concern Magento. Thus, knowing this platform so well, what would you say are its main flaws and advantages? Magento, is an excellent platform - open-source, flexible and highly praised among developers. However, I like it for the less obvious reason - Coopetition. Due to this advantage, firms that are using Magento are able not only to compete, but also to cooperate. Which gives customers a true feeling of safety. In the future, I want to pay more attention to this issue, so, currently, we’re planning to launch a special page with the list of Magento companies that are open to cooperation. Here is the the start of it. As Magento is becoming increasingly popular - plenty merchants express the desire to migrate to this solution. Thus, what would you recommend to a person who’s trying to perform re-platforming? Actually, we, Divante, have a pretty curious personal story on this matter, as we’ve worked with several platforms. Many years ago, we were using PrestaShop, but, then, gradually migrated clients to Magento. Nowadays, in the omnichannel era, customers are becoming increasingly reluctant when it comes to migration. The most expensive and complicated issue, by far, is the integration between various systems, so I would focus on it during the transfer. Also, this matter should be thoroughly analyzed. As an open-source platform, Magento provides an opportunity to build up the entire IT architecture - this feature encourages omnichannel companies to interchange. Magento is the only open source solution that can compete with the biggest enterprise solutions, for real. Finally, have you got any exciting, professional or personal, plans that you’re willing to share with our readers? I think they’d be thrilled to read them. We encourage everyone to join the Magento Coopetition initiative. I hope that in September Divatne will present this nice new service and demonstrate all the strengths of cooperation within Magento community. We’re grateful to Tomasz for providing us with such interesting answers. Stay tuned to our blog, as much more fascinating interviews and e-Commerce articles are yet to come.